Appellate advocacy is a distinct and specialized area of practice which draws upon talents and skills far different from trial skills. Appeals are not trials and, therefore, require different legal skills and abilities in order to obtain success. Trials typically take place before juries, who determine factual issues. In contrast, appeals require the appellate attorney to make intellectual legal arguments to a panel of judges solely on the basis of the record created at trial and according to established or developing law. A trial is largely oral, and a trial attorney must be articulate and tough. In contrast, an appeal is decided almost entirely on the written brief, as oral argument is limited and sometimes denied altogether. Therefore, an appellate lawyer must be an excellent writer and a clear thinker. A fresh review of the case—Many clients believe that their trial attorney is better suited to handle their appeal because he or she knows the case so thoroughly. However, a new appellate attorney brings no commitment to the issues that were raised at trial. We are, therefore, able to decide objectively which issues are best advanced on appeal. Because appellate counsel was not trial counsel, appellate counsel will examine the case objectively and will not hesitate to identify and raise errors made at trial. We might see things the trial attorney may have missed, downplay an argument or direction the trial attorney took, or emphasize arguments or facts the trial attorney thought less important. A new, outside appellate counsel views the case the same way the appellate court does—from a cold record. An understanding of the trial errors and how to develop appellate arguments—Appellate counsel understands what trial errors to look for and how to develop those errors into successful arguments on appeal. We are able to cull from the trial record those portions of the voluminous record which are pertinent to the appeal. "[W]innowing out weaker arguments on appeal and focusing on those more likely to prevail…is the hallmark of effective appellate advocacy." Commonwealth v. Sowell, 34 Mass. App. Ct. 229, 233 (1993) (Jacobs, J.) An appellate specialist is able to identify and frame the issues that are the subject of the appeal. An understanding of the established precedent and developing law--Appellate counsel is often more familiar with the issues and arguments likely to be successful on appeal. 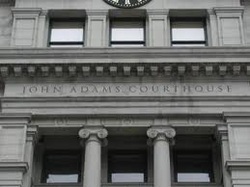 We have a better understanding of patterns of appellate decisions and keep abreast of issues in the appellate courts. Sustained, uninterrupted devotion to development of the appeal—"The bottom line is that good, clear, persuasive writing takes skill, and it takes time—time with few distractions in order to provide the opportunity for sustained focus. That sustained devotion to one task often is difficult for busy trial lawyers who have many other matters to attend to in the course of a day. And even if a lawyer has the time, not everyone has the inclination to roll up his or her sleeves and do the hard thinking, analyzing, drafting, and synthesizing jobs that go into good appellate briefs." Nancy Winkelman, Just a Brief Writer?, Litigation, Summer 2003 at 50. Excellent research and writing skills--The greatest advantages that an appellate lawyer has are good research and writing skills. While many trial attorneys research and write well, they do not devote time to these skills on a daily basis. Effective research skills are vitally important because finding the right precedent and using it effectively can mean the difference between winning and losing the appeal.